Base of plum tree wood, bowl of Bohemian glass. Size, mm: 260 (height) х 85 (diameter). 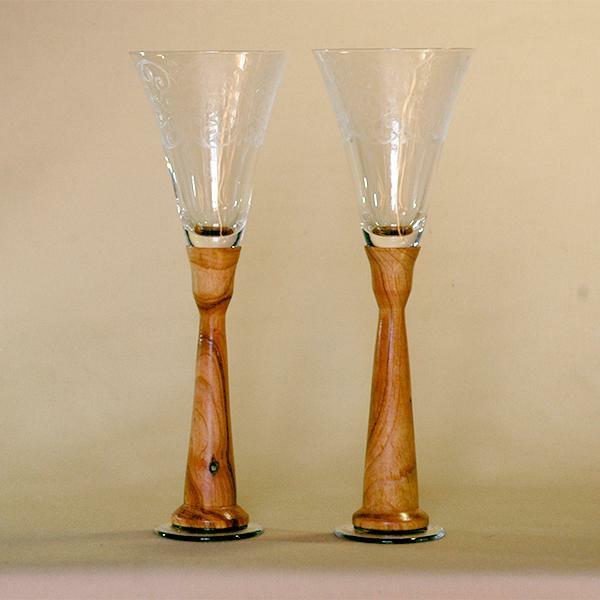 Elegant handmade wedding-style wineglasses. Base is crafted from plum tree wood. The 260 ml bowl is made of Bohemian glass. Looks great on any table. A great gift for any occasion.